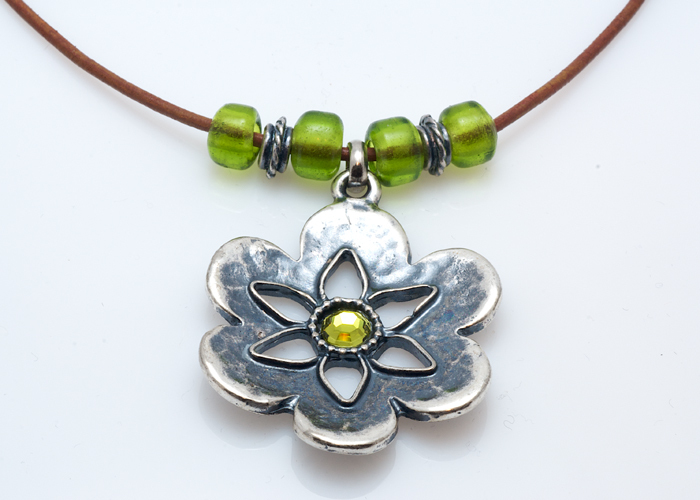 Green crystal flower pendant: A six-petal flower is cut from a single piece of hammered silver plate. The petals are rounded, for a soft look, and set off by six teardrop-shaped cutouts radiating out from the center of the pendant. 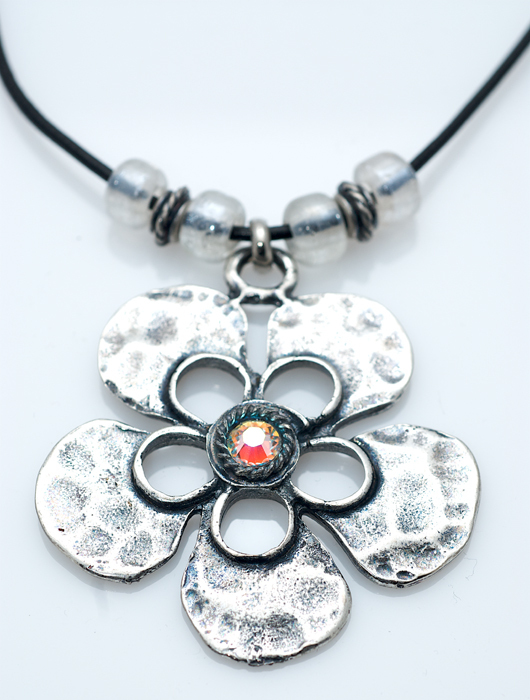 A single lime green Swarovski crystal is set in the center of the flower pendant, set off by a raised textured ring. The flower pendant is strung on a simple brown cord and accented by two silver separator beads carved with twists and four translucent green beads that echo the shade of the crystal. Pink crystal flower pendant: This pendant of hammered silver plate features five rounded petals set off by five small arched cutouts. At the center of the pendant, a raised twist of carved silver surrounds a single pink-tinted Swarovski crystal that also flashes glints of gold and green. The pendant hangs on a black cord and is complemented by two separator beads in hammered silver plate, carved in a twist design, and four clear beads. Red crystal heart pendant: An open, slightly asymmetrical heart pendant in silver plate is engraved with a series of inset dots on one half and a deep, textured groove on the other. A small flower is carved at the heart's point. At the top of the heart, two raised five-petal flowers are each set with a small red Swarovski crystal. 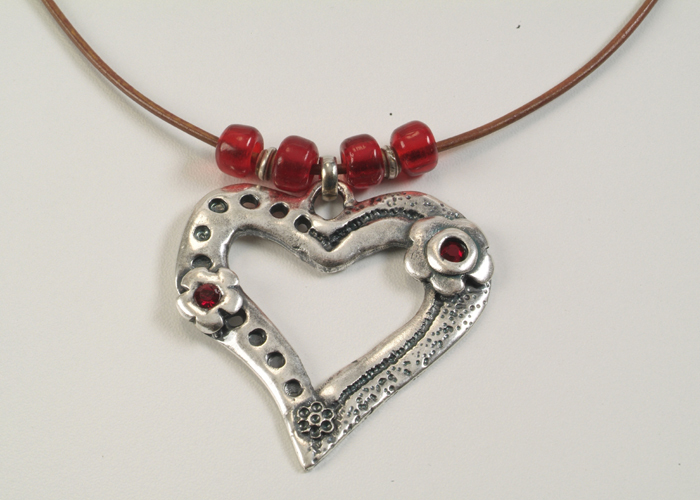 The heart pendant comes on a brown cord and the red crystals are picked up by four translucent red beads strung above the heart.